. كما يقدم Hibiscus Lodge Bed & Breakfast الكثير من الخدمات لإغناء رحلتك في ميشن بيتش. تتضمن الميزات الرئيسية في هذا الفندق: خدمة الغرف على مدار الساعة, واي فاي مجاني في جميع الغرف, خدمة غسيل ذاتية, تخزين الأمتعة, واي فاي في المناطق العامة. في الفندق غرف نوم يتجاوز عددها 3، كلها مجهزة بعناية وجمال وبعضها مزود بـ تلفزيون بشاشة مسطحة, اتصال لاسلكي بالإنترنت, اتصال لاسلكي بشبكة الإنترنت (مجاني), غرف لغير المدخنين, مكيف هواء. صممت خدمات الاستجمام في الفندق والتي تتضمن حمام سباحة خارجي, غوص, صيد السمك, حديقة لمساعدتك على الاسترخاء والراحة. إن Hibiscus Lodge Bed & Breakfast هو خيار ذكي بالنسبة للمسافرين إلى ميشن بيتش، بما يوفره من إقامة هادئة ومرحة. 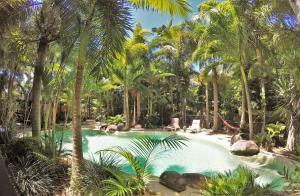 Beatiful tropical ground, with Wallabys, swimming pool & kid free, only 3 rooms with ensuits. The owners are the the staff & there very nice, the breakfast is great, tropical type cereal, home made jams & yogurt. close to resturants & clubs.. great go back always. Nothing to fault at all. Fantastic stay beautiful location and accommodation. Owners are wonderful! Great place to be if you have a car not a far drive to the beach and some great restaurants! Excellent stay. Owners are very friendly and know the area well. There are drinks provided at 6pm and its a good way to meet the other guests. There is a good chance of seeing a cassowary close up from the breakfast area. WE LEFT HIBISCUS LB&B REFUELED AND REFRESHED. HIGHLY RECOMMENDED. Relaxing environment in a great location with a high level of comfort and good wifi. It was my wife's first experience of a B&B. 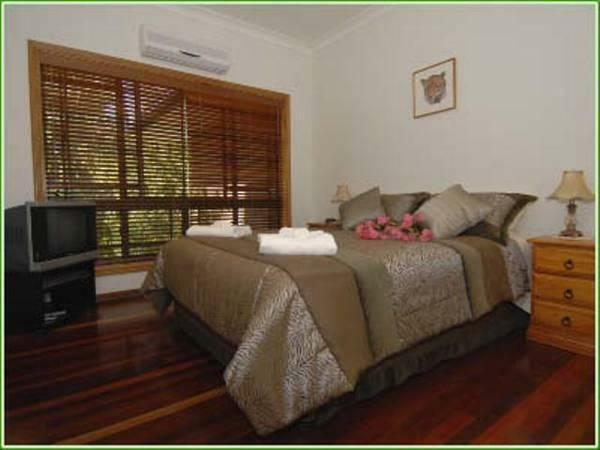 Our stay was very enjoyable and she is keen to try other B&Bs based on this experience. A small table would have been of great help in our room. Amazing. The hosts were very friendly, helpful and full of advice on what to see and do. The room was large and clean, breakfast was great with a variety of foods to chose from. We were lucky to see two Cassowaries on our last day. We would recommend this property highly! All we could have hoped for in a relaxing weekend away. 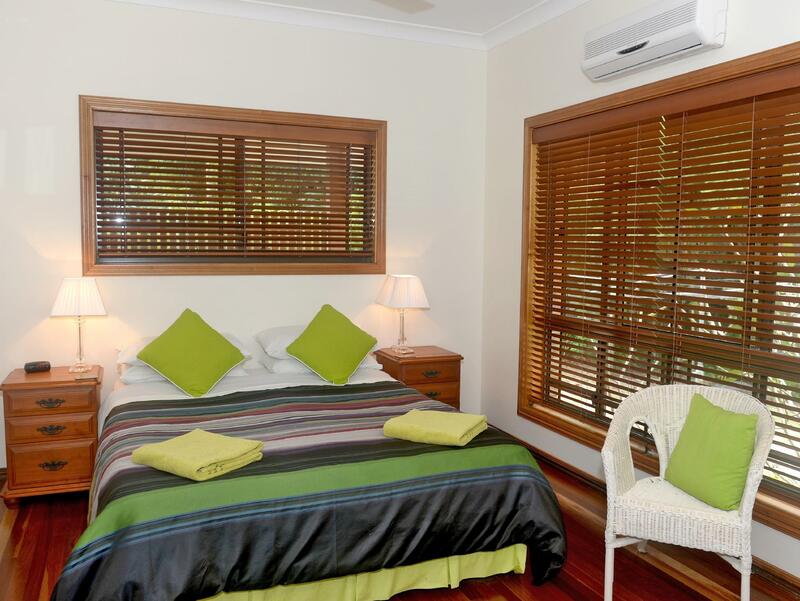 A tucked-away location, spotless facilities and happy hosts made for an excellent 3-night stay. I really enjoyed my stay at Hibiscus Lodge,Robert and Adrianne were wonderful hosts and nothing was too much trouble,the breakfasts were good too. Quiet, close to restaurants, comfortable. 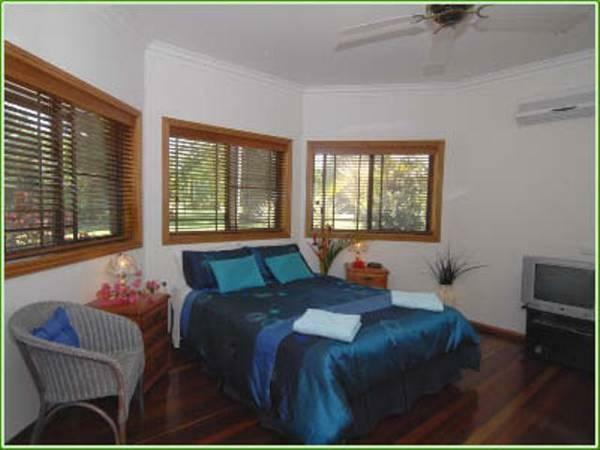 Comfortable room,nice gardens,wildlife on the doorstep. Hospitality. Tropical wildlife and Rouquet in the garden. Wifi.